Bedford Ladies & Girls FC has managed to recruit two teams at U16 level - including Phoenix, a brand new side for this season coached by Solomon Daniels. The girls have proven to be a real asset to the club and have put in 100 per cent at training and matches alike. All their hard work was rewarded on Saturday as they went away to Hares Youth and came away with a 6-3 win. 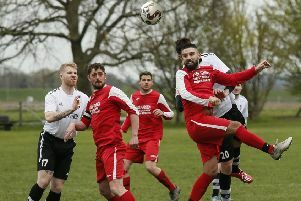 The game started slowly for the Bedford Phoenix team and they quickly found themselves on the back foot at 2-0 down. However, they battled back and were rewarded with two goals; the first coming from Eden Frith followed by another from Jess Bunnage, levelling the match at 2-2 at half-time. Phoenix came out for the second half and dominated the game, with great play and teamwork from Sharika Duffus, Cayleigh Jackson, Chloe Ali and Zoe Agbenu. They deservedly took the lead with another goal Frith, but the Hares battled back with another goal to make it 3-3. Undeterred, Phoenix hit back with another three unanswered goals from Charlie Jenkins, Frith and Becky Lenton, to take their first thoroughly deserved win. Haleemah Mahmood, new to goalkeeping and club football, has made great strides and showed great potential between the sticks.